ANY OCCULT PRACTISE WITHOUT worshipping Anu is WITCHCRAFT!! GOD OF THE WHITES,BLACKS,JAPANESE,SEMITE AND ALL PEOPLE!!ANU! !BLESSED IS YOUR NAME FOREVER.. However, another Sumerian word, ti (with the longer pronunciation, ‘tee’), meant ‘rib’; and it was by virtue of the Hebrews’ misunderstanding of the two words, tî and ti, that Eve also became incorrectly associated with Adam’s rib. is an interesting fact that the names of Isaac and Ishmaelare derive from Sanskrit: (Hebrew) Ishaak = (Sanskrit) Ishakhu = "Friend of Shiva. "(Hebrew) Ishmael = (Sanskrit) Ish-Mahal = "Great Shiva." Really the Hindu Deity Ram? Ram and Abraham were possibly the same person or clan. For example, the syllable "Ab" or "Ap" means "father" in Kashmiri. The prototypical Jews could have called Ram "Ab-Ram" or "Father Ram." It's also conceivable that the word "Brahm" evolved from "Ab-Ram" and not vice-versa. The Kashmiri word for "Divine Mercy," Raham, likewise derives from Ram. Ab-Raham = "Father of Divine Mercy." Rakham = "Divine Mercy" in Hebrew. Several word-meanings can be extracted from "Abram," each of which points directly to his exalted position. Ab = "Father;" Hir or H'r = "Head; Top; Exalted;" Am = "People." Therefore, Abhiram or Abh'ram can mean "Father of the Exalted." Here's still another: Ab - î - Ram = "Father of the Merciful." Ab, also meaning "Snake," could indicate that Ab-Ram (Exalted Snake) was a Naga king. All the meanings that can be extracted from the compound word "Abraham" reveal the divine destiny of his followers. Hiram of Tyre, Solomon's close friend, was "Exalted People" or Ahi-Ram (Exalted Snake). History, Brahm was the spiritual leader of the Aryans. As an Aryan (Not of Yah), he naturally believed in idols. The bible says that he even manufactured them. Upon seeing how increasing idol worship and religious guesswork were contributing to the further downfall of his people, Brahm backed away from Aryanism and re-embraced the ancient Indian (Yah) philosophy (Cult of the Material Universe) even though it, too, was foundering in man made evils. The Mayan priestly caste was called Balam (pronounced B'lahm). Had an "R" sound existed in Mayan, it would have been Brahm. The Peruvian Incas worshiped the sun as Inti Raymi (Hindu Ram). example, Christians and Jews have been brainwashed to believe that Mohammed copied his teachings from Jewish sources. The truth is that in Mohammed's time, Ram or Abraham's theology was the foundation stone of all religious sects. All Mohammed did was to purge them of idol worship. Before Mohammed's time, The Hinduism of the Arab peoples was called Tsaba. Tsaba or Saba is a Sanskrit word, meaning "Assembly of the Gods ". Tsaba was also called Isha-ayalam (Shiva's Temple). The term Moslem or Moshe-ayalam(Shiva's Temple) is just another name of Sabaism. The word has now shrunk to Islam. Mohammed himself, being a member of the Quaryaish family, was at first a Tsabaist. The Tsabaists did not regard Abraham as an actual god, but as an avataror divinely ordained teacher called Avather Brahmo (Judge of the Underworld). At the time of Jesus, the respective languages, religious symbolism, and traditions of the Arabs and Jews were nearly identical. If we could take a time machine to the past, most of us would not see any real differences between the Arabs and Jews. History tells us that the Arabs of Christ's time worshiped idols. So did the lower class and rural Jews. For this reason, the Middle Eastern squabble between the Jews and the Muslims and the hate between the Muslims and Hindus in Indiaare ridiculous. The Muslims are fighting the Jews and Hindus, or vice-versa, over nothing. All three groups sprang from the same source. The Kashmiri-Sanskrit equivalent of Hebron (Khev'run in Hebrew) screams out the Indian origins of Jerusalem's earliest inhabitants: Khab'ru (grave; tomb). (See Grierson's Dictionary. ; p. 382.) Even in Hebrew, Kever = "Tomb." Was Abraham, Isaac & Jacob REALLY REAL? Ram = Aries or Abram = Brahman concept? Anu and Enlil have deep blue eyes with black hair. Enki had blond hair with BLUE eyes and was more pale. but there was a whole lotta dark Sumarians because we were all in an African continent. I can even give you a location. Sammuel the healer whom was also known as Enlil to the elder Annunaki really liked UR and ran that. And Enki was close by to Adam and Eve. At least you can research Iraq a little before trying to tell me what happened. Face on Mars Alalu short version. 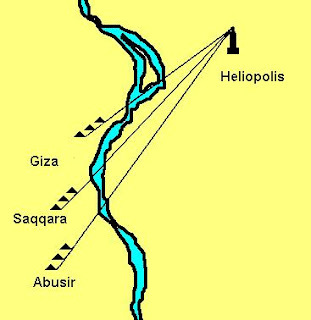 One of their sanctuaries was called Annu, the original name for Heliopolis, Biblical On. In the Heliopolitan creation myth, Atum was considered to be the first god, having created himself, sitting on a mound (benben) (or identified with the mound itself), from the primordial waters (Nu)..is portrayed as both a creator and father to the king. I am the Benu bird which is in Anu. I am the keeper of the volume of the book (the Tablet of Destiny) of the things which have been made, and of the things which shall be made. The phoenix or benu bird was initially probably a kind of a wagtail rather than a heron. It was the holy bird of Heliopolis where it lived on a ben-ben stone or a holy willow tree. The Benben stone, named after the mound, was a sacred stone in the temple of Ra at Heliopolis (Egyptian: Annu or Iunu).The bird deity Bennu, which was probably the inspiration for the phoenix, was venerated at Heliopolis, where it was said to be living on the Benben stone or on the holy willow tree. Joseph�s baby brother was named Ben-Anu or Ben-Oni by his mother, and was renamed Benjamin by his father. See Gen 35:18.The name Benoni, given to the same individual by his mother, may mean, literally, either "Son of Anu," or "Son of my On, Son of my righteousness or Son of Righteousness. We are using the correct definition of Anu as Righteousness and not Destruction. But there is more to matters than this simple fact. By placing this cultic act of devotion first in the list, right after the flood, the ULKS intends to give the Anu cult prominence; the first human sage was a devotee of Anu. Kali, like all the Ubaid Deities was a flesh and blood being. She, Kalimaath or Kali Marg, was a daughter of Lilith and Samael, son of Anu, who appears in the Aryan pantheon as Ahura Mazda and in Iran as the Medean god Zoroaster. Anu himself was the god who gave his name to the Tuatha de Danaan and as Sitchin has suggested the definition of the word god itself is ’descended of Anu’. Maybe the 3 pyramids were representative of the SUN,moon and VENUS also the 3 female deities,Man at,Uzat and Alat. He found that the Abu Rawash, Giza, and Abu Sir diagonals point to three stars -- Sirius, Crux-Centaurus, and Canopus, respectively. These stars sat in alignment over the pyramids when viewed from Heliopolis. now a recognised fact that all the large 3rd-5th dynasty Memphite pyramids were aligned towards Heliopolis, or 'On' as it is called in the Bible (More on this subject), casting a long shadow of doubt on the Giza/Primeval mound theory. Goddesses in Arabic peninsula : Uzza, Allat, Menat. They are 3 celestial bodies. The moon decrescent one is the wisdom of age (Menat). The first one is Venus, morning star (Uzza). And the strong mother one is the Sun (Allat). Means "the only one" in Finnish.